Hi everyone! I hope you had a good weekend. Today I have 3 pretties from Jior Couture to show you. All 3 are from their Holiday collection which is on sale now! 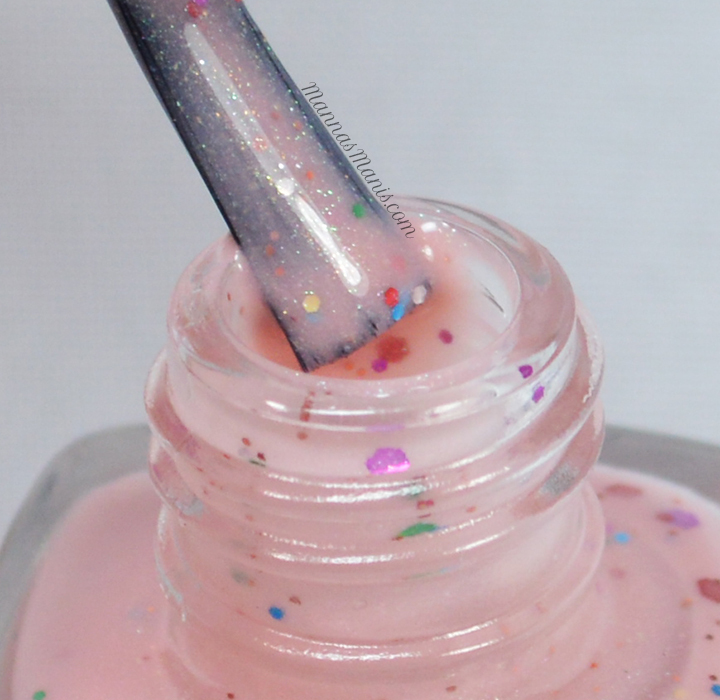 Believing is Seeing (inspired by the movie The Santa Clause) is described as "a neutral, soft beige/pink that has shimmer with red, blue , gold and silver glitter." 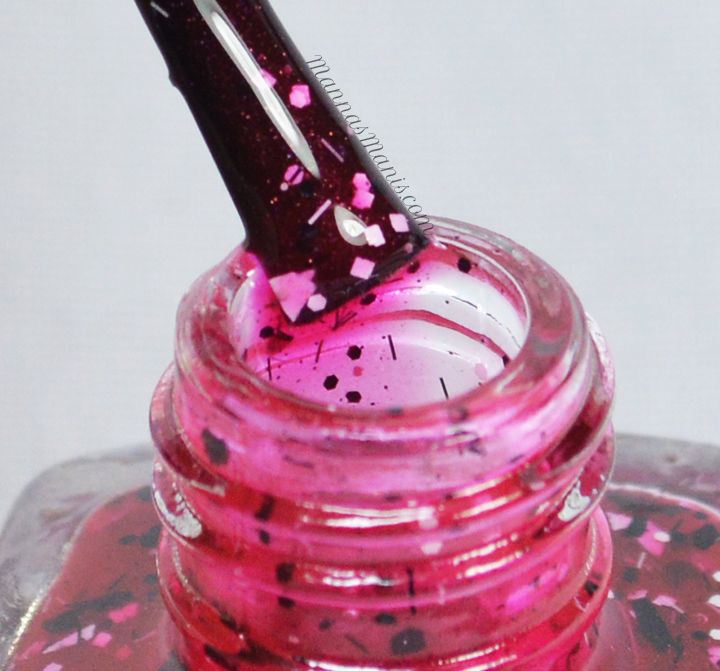 The formula was a bit runny for me, but it built up fine after 3 coats. 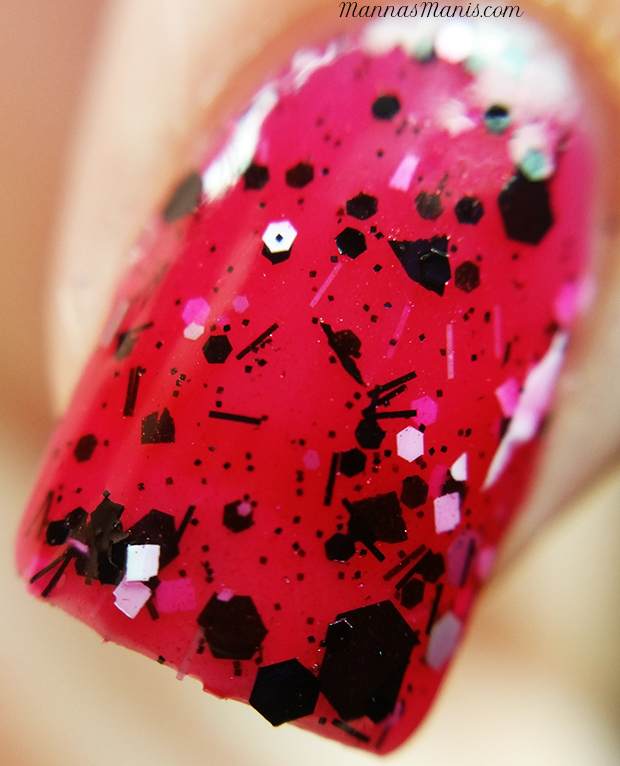 Son of a Nutcracker (inspired by one of my all time favorites, Elf) is a red jelly packed with black and white glitters of various sizes. No issues with formula or application. This is 3 coats. 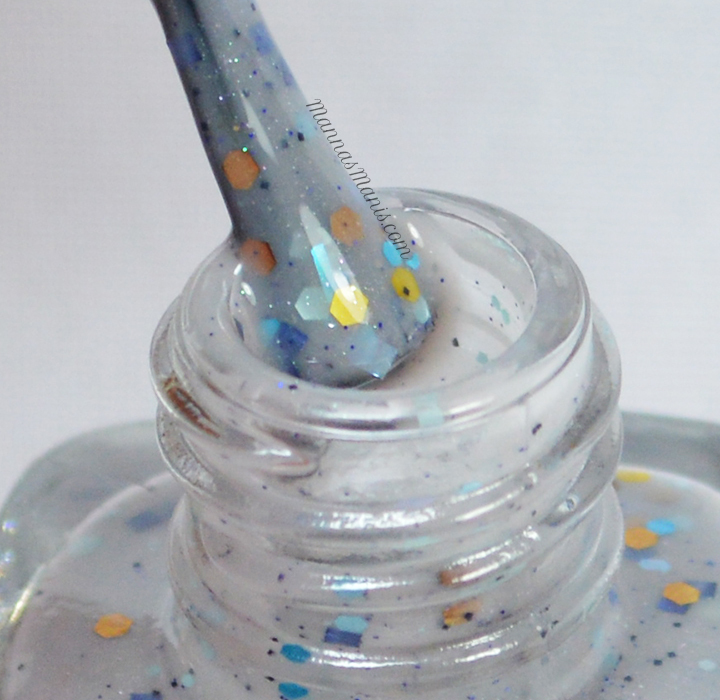 This is So Tinsel (inspired by the Christmas cartoon Prep and Landing) is a gray crelly with dark blue, orange, gold and turquoise glitter. No issues with formula or application. This is 3 coats. Final thoughts: Aside from the slight formula issues with Believing is Seeing, I enjoyed all 3 of these! I suggest turning them upside down for a bit so the glitters can go to the top. These are all on sale for $6 each on Jior's website, links below. They're leaving the store soon, so get them before they're gone for good! 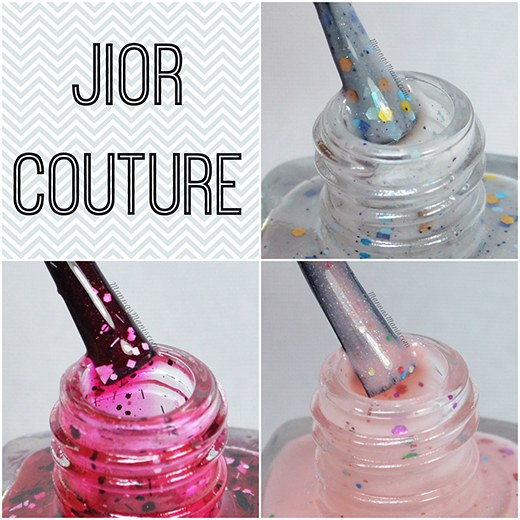 Have you tried Jior Couture?